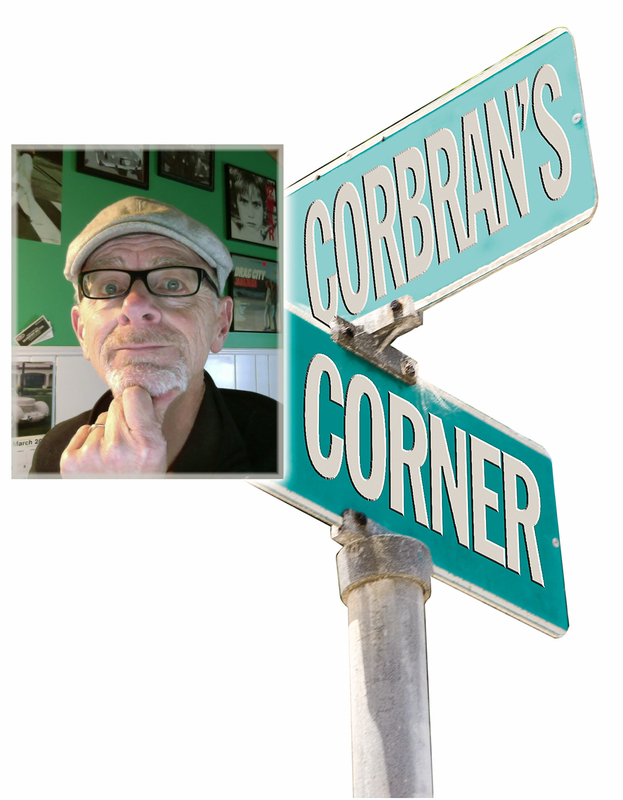 WHY ARE WE WRITING ABOUT SPORTS CARS IN JANUARY? The simple answer to that question is Mazda’s new MX-5 RF. To answer your first question, the RF stands for retractable fastback. 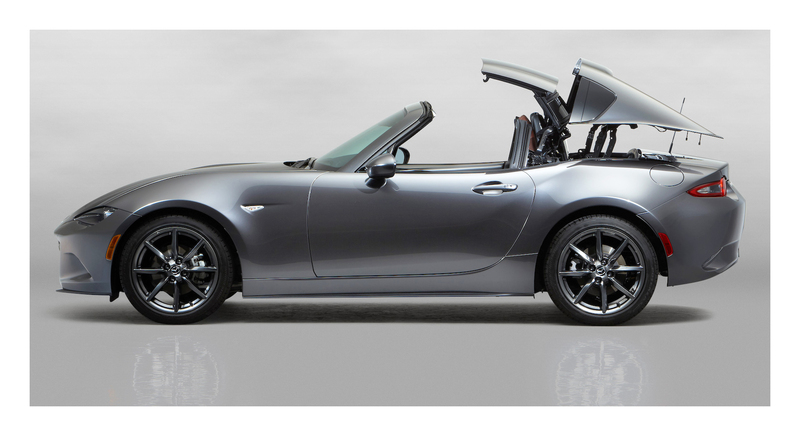 And to answer the question I asked at the top, a retractable top makes the MX-5 a perfect year-round driver. And it gives me an excuse to write about one of my favorite cars as we experience another Western New York winter. Mazda’s MX-5 Miata has been the most popular modern two-seat roadster you can buy in a new car showroom for decades now (it made its debut in 1989). It’s fun to drive, it’s relatively inexpensive, and it’s attractive just sitting in your driveway. Now, with a snug hardtop to keep out winter’s cold, it’s a year-round driver no matter where you live! Other manufacturers over the years have transformed their spiffy roadsters into all-weather cars. Go back to the 1960s when British Leyland put a hatchback roof on their MGB and called it an MGB-GT. A beautiful car yes, but the top was fixed in place. Ditto the transformation of Triumph’s Spitfire into the GT-6. And yes, both of these cars also offered lift-off hardtops for the roadster versions, but you couldn’t carry them around with you if you happened to run into inclement weather whilst on the road. The MX-5 RF offers the best of both worlds: open-air motoring, and a rigid hardtop which disappears at the push of a button in just 13 seconds — and it’s right there, out of sight, in the back of the car should you require it. Like, in the second week of January. 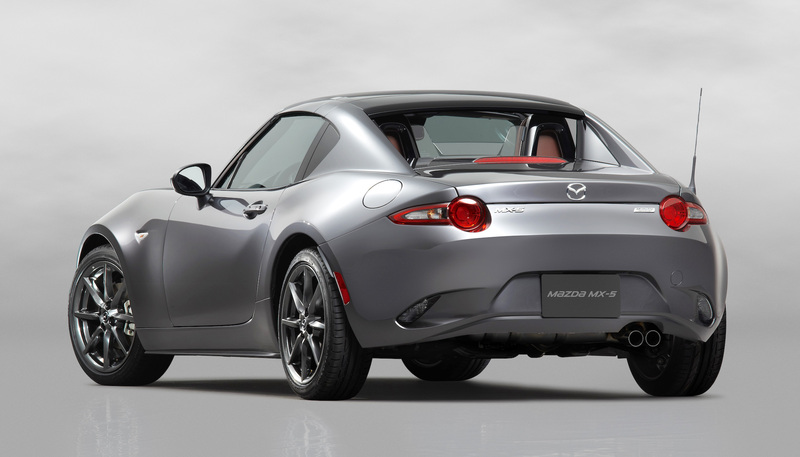 I think Mazda stylists did a good job integrating the fastback-style top into the overall MX-5 design. Unlike some of the earlier roadsters mentioned above, this top doesn’t look like it was bought off the shelf at Tops-R-Us. The rear fastback portion of the roof lifts at the push of a button, allowing the front part (that which is over the passenger compartment) to lift up and stow itself vertically behind the seats. The rear portion then returns to the deck, and no one’s the wiser. The good news is that the hardtop doesn’t take up any more storage space than does the folding canvas top of the MX-5 roadster. Mazda designers figured that buyers of the RF would probably spend more time driving with the top closed (makes sense, if not they’d probably buy the less-expensive roadster), so they went about developing a sports car that allows for the occasional open-air drive, without the styling compromises which often occur when trying to stow an entire top in the trunk area. The RF comes in two trims: Club (starting at $31,555) and Grand Touring (starting at $32,620). Both come standard with a 2.0L DOHC 155-hp four-cylinder engine and a six-speed manual transmission (a six-speed automatic is optional on both). I’m sure your dealer will be happy to point you in the direction of snow tires. More info (and see the retractable top in motion) here at MazdaUSA.com.